I imagine we have all done it. Found a tantalizing tidbit on a subject and decided to research it further. It sounds so exciting and newsworthy. Just find what there is to be found and put it into an article. Heck, maybe even a short book. There will be so much of interest. The big problem will be what to use and what to discard. The research starts for real. And then……almost nothing on the subject everywhere you look. You have to word spin just to get to the middle of page two. 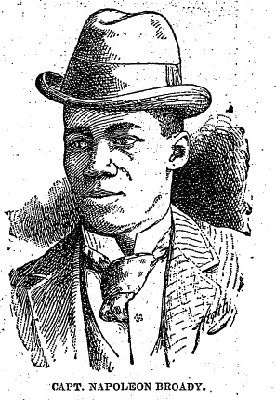 While not quite as bad as that, my project on Milwaukee’s first Black baseball organizer and star player–Napoleon Broady and his Milwaukee Reds–yielded some information, but left what I suspect is a lot of baseball unreported and probably lost to time. The players held a meeting on May 7 and decided they were prepared to meet any amateur club in the city. "In order that no suspicions of partiality in umpiring should be raised”, the Reds decided to employ a man from another hotel as their umpire–"Jake", the Kirby House [on East Mason and North Water Streets] supernumerary. Challenges were to be addressed to James Blaine, superintendent of the bootblacking department of the Kirby House. The Plankinton House Reds first game was played a few days after their meeting. At Athletic Park, 7th and Chambers, home of the Western Association Brewers, the Reds beat the Lime Kiln Club—the only other Black baseball team organized in the city—by a score of 4 to 2. I could find no further information on the Lime Kilns before or after this game. The Reds next game was on Sunday, June 8, again at Athletic Park. This game was against the Milwaukee Blues, a white team. It was reported the Reds had not had enough practice to get in "good trim" but would make things interesting for the Blues. The Reds and Blues both must have made the game interesting, the Reds winning 25 to 21. I could find no reports of any other games the Reds were to play during 1890. Again in 1891 nothing could be found about the Milwaukee Reds baseball team. However, it was reported the following year the team won a number of victories in 1891, principally out of the state. It was stated all communications should be addressed to Napoleon Broady, Kirby House. The first game I could find in 1892 played by the Milwaukee Reds was against South Milwaukee on June 25. In that southern suburb of Milwaukee’s park, the Reds lost 4 to 2, in what was said to be a "close and exciting struggle." 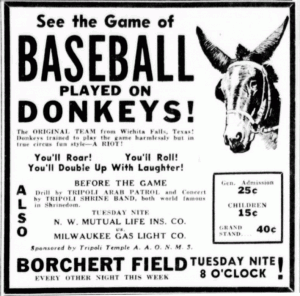 The teams met again a week later at Athletic Park, the South Milwaukees beating the Reds badly, 25 to 5. I could only find the two games between the Reds and the South Milwaukee club mentioned above having been played by either the Reds or Dips in 1892. How many unreported games were played I can not guess, as the July 24 Sentinel stated "both clubs are fully uniformed and have been playing winning ball this season." However, in the same article the Sentinel reported this season the Reds had played only a few games, the best being the first of the South Milwaukee contests. A few days before the game betting was said to be even on the teams, and demand for tickets was high. It was reported this game was the only topic of conversation in sporting circles. 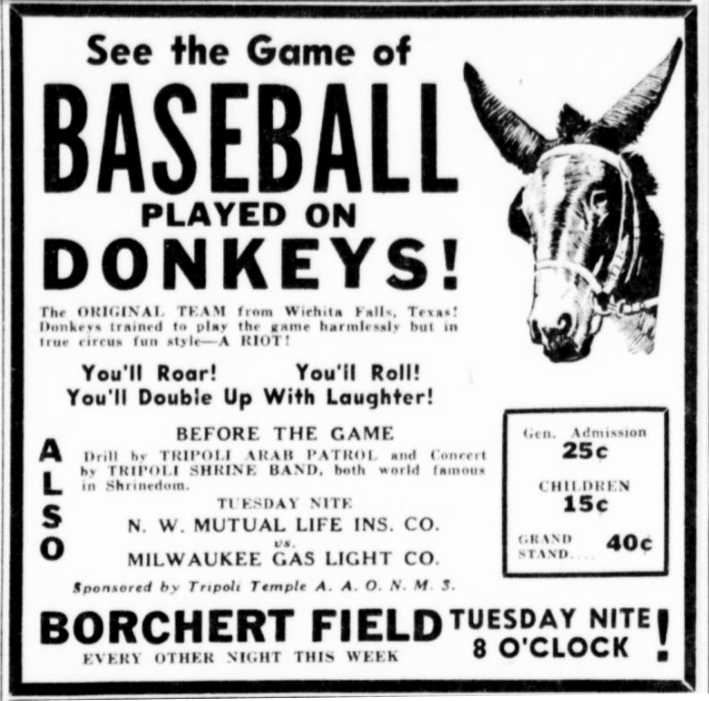 This might not be an exaggeration, as only a few weeks before the Milwaukee entry in the Western League had dropped from the league and the Western League disbanded very shortly after that. Tickets were put on sale at the Plankinton House drug store, Phil Lederer’s cigar store on Wisconsin Avenue, Rudolph Giljohan’s tavern on North Water Street, and the baseball headquarters. Anticipating a large crowd, arrangements were made to insure ample streetcar accommodations to and from the park. The day before the game Frank Brady, of the Southern Texas League, was agreed upon as umpire. At 1:30 p.m. Broady’s Reds left the Plankinton House on 2nd and Wisconsin Avenue in full uniform in carriages. Randall’s Dips left at the same time from North Third Street, between West Wells and Grand Avenue. Both teams paraded through downtown streets on the way to the ball park at 7th and Chambers, a distance of about 3 miles. Napoleon Broady was reported to be 28 years old in a November 1895 newspaper article, making him born ca. 1867. In the 1880 U.S. census I found a Napoleon Broady, born 1868 in Ohio. At the time of the census he was living in Miami, Ohio. If this is the same person, I could not find when he came to Milwaukee, when/if he left Milwaukee, or when he died. A Napoleon Brody [sic] is first listed in the City of Milwaukee directories in 1890 as a porter at the Kirby House. Napoleon Brody is listed as this also in 1891 and 1892. In 1893 his name is spelled Brodie, but he is still listed as a porter at the Kirby House, possibly living there. His name is spelled Brodie again in the 1894 directory, but he is now listed as a bellboy–no hotel stated– and a home residence of 416 State is given. In 1895 Brodie’s occupation is given as waiter, with a residence of 413 Cedar. In the 1896 directory the name is again Napoleon Brody, and he is again a porter (again no hotel stated), living at 417 State. He is listed in the City of Milwaukee directory in 1897, again as a porter, living at 710 Wells. Starting in 1898 the name is almost always spelled Broady [the exception being 1904, when it is again spelled Brody.] In the next 19 years Napoleon is listed as a boot-black, porter, laundry man and bartender in the directories, living at a variety of near west side addresses. In the 1912 and 1913 directories he is listed as the owner of a saloon at 405 Cedar [West Kilbourn Avenue]. As can be seen Napoleon’s last name was spelled three different ways in city directories and local newspapers: Broady, Brody or Brodie. Outside of baseball I first came across Napoleon Broady in local newspapers in May 1890 when he was used, unwittingly, in an attempted land scheme by some out of state men. (The Milwaukee Sentinel gives his name as Napoleon Brody, while he is referred to as James Broady in the Milwaukee Journal, adding another variant to the name). In January 1893 Broady was again in the newspaper, being involved in a shooting of a chambermaid at the Kirby House. The Sentinel identified him as Napoleon Broady, but the Journal gave his name as Alexander Broady, to add another name to the growing list. Napoleon was released from custody, as the shooting was determined to be accidental. Little could be found on Napoleon Broady the baseball player. The July 24, 1892, Sentinel reported he had played baseball for the last ten years, “and at one time was a member of an amateur club of white players which defeated everything in and about Milwaukee.” [I do not remember coming across his name in my earlier research on Milwaukee’s amateur clubs of this period, and a quick check of the few box scores and accounts I have with player’s names of the major amateur clubs in the city, did not show his name. Perhaps further research, or that lucky find, will discover what team he played for, and when.] Broady’s baseball coaching style appears to have been vocal and colorful. The Sentinel commented: "when he gets out on the line he just ‘conversations’ his men around the bases and razzleates the pitcher." The newspaper said he would be at his best for this game against the Dips. The game on July 24, 1892, itself was an exciting, close game, played in front of 1,500 to 2,000 people, who sat "in a sweltering sun." The Sentinel reported there were many "pretty plays" by members of both teams. Unfortunately, the game was called after seven innings, so that there would be plenty of time for the other contests. The Dips won by a score of 9 to 8. Unfortunately, the newspaper coverage gave more attention to the non-baseball activities than the game itself. In respect to people I respect, I will not get into this aspect of the afternoon. One shorter paragraph was given to the game. But we can be thankful for the box score. I found no further games played by the Milwaukee Reds or the Boston Dips in 1892. 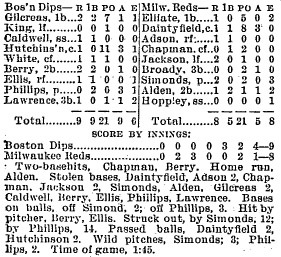 On July 10, 1893, the Reds played the Dips at Milwaukee’s National Park (South 27th Street and West National Avenue), the Reds winning 8 to 7. The Reds captain stated he was accepting any challenges, and they should be addressed to "Napoleon Brody, second porter, Kirby House.” Again, I could find no other game by either team played in 1893. In 1894 the Reds, "whose members have in past years covered themselves with glory on the diamond field" where looking to again field a team. Milwaukee had a club in the minor Western League, but the team was in last place with a 10 and 25 record on June 20. On this day Broady talked to a Milwaukee Sentinel reporter. Napoleon told the reporter the Reds were in the "pink of condition" and were itching for a game. They decided to issue a challenge, and not to the all-Black teams of the area, but to Charlie Cushman’s Milwaukee Brewers. Saying the Brewers had been easier to beat than "makin’ a natural in a crap game,” the Red’s Captain said his team would play them for any amount of money. The Milwaukee Journal reported: "The Reds have the reputation of being an unusually strong team, capable of putting up a rattling game, so that it is somewhat surprising that Capt. Broady should stoop to meet the has-beens on the diamond.” Cushman and his Brewers were in Sioux City, Iowa, at the time, and Cushman was asked about the challenge. He said he would have to communicate with the board of directors about a game with the Reds, and "if a game is arranged, I have the utmost confidence as to the outcome." A game never came about. The Milwaukee Reds did play at least one game in 1894. It was announced in the Sentinel as part of the events at the Turf Club picnic to be held at National Park on August 8, the Reds would play the Turf Club team. 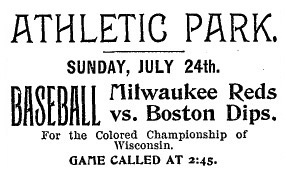 However, the Evening Wisconsin had earlier reported the Reds would play the Boston Dips on this day "for the colored championship of the state." Whatever teams played on August 8, I could find no results of any game. Although Napoleon Broady’s name would appear in the newspapers a few times in the following years, I could find not a connection with him and baseball again. The last mention of him in the newspapers was on June 19, 1916, when it was reported Napoleon Brodie, was fined $25 and costs for being the “alleged keeper of a disorderly house.” The last City of Milwaukee directory Napoleon Broady (by any spelling of the name) appeared in was the 1916 directory. At least for now I have lost the trail of Napoleon Broady after 1916. But hopefully more will be found on one of the first in Milwaukee’s tradition of local Black athletes and coaches. Here is a new article written by Dennis Pajot about one of the early pitchers in the Cream City Baseball club. According to the Milwaukee Sentinel of February 11, 1900, “one of the most even-tempered and courteous men in the city” was the doorman to Milwaukee’s Chamber of Chambers, Archie McFadyen. Archibald McFadyen was born in Erie, Pennsylvania in 1839. Archie’s father, Archibald Sr., brought his family to Milwaukee in June of 1842 on the high pressure steamer, James Madison, captained by Archie’s uncle John McFadyen. The senior Archie McFadyen was a sign painter by profession. It was said the signs he painted were done so well they lasted as long the buildings on which they stood. The McFadyen family took up residence on Van Buren Street. While little is known of our Archie’s early years we do know he was in active service with the volunteer Liberty Hose Company No. 2 of the Milwaukee Fire Department. We also know in the late 1860s McFadyen was in the Merchants’ Zouaves and at some point became a member of the Knights of Pythias. After the Civil War young men in Milwaukee became interested in the game of Base Ball that was becoming increasingly popular around the country. Archie was one of the young men enthused with this game. The Cream City Base Ball Club was formed in late 1865 and a match game between members was played at Camp Scott (on Prospect Avenue near today’s Royal Place) in early November. McFadyen was the pitcher in this first match game, giving up 30 runs. Fortunately his team scored 36 in the seven inning affair. The Cream City Club took on a more formal aspect in 1866 and played a number of out of city clubs. One of these games was a Decoration Day game against the Capitol City Club of Madison at Camp Randall. The Cream City Club left for Madison in high spirits, perhaps fueled by the news that the young ladies of Madison were “preparing to crown the victors after the manner of the ancient Grecians.” Cream City won the game 48 to 15, McFadyen’s pitching “completely demoralizing” the Capitol City nine. Play continued for the Cream Citys through the 1866 season, including tournaments in Illinois. The local club went on to win the Wisconsin State Championship. In the 1867 McFadyen was elected secretary of the club. Archie continued pitching until later in the season when the Cream Citys found a new pitcher. McFadyen changed to shortstop. For the second straight year Cream City held the state championship. 1868 found Archie at shortstop again. But baseball was changing. Members of the Cream City Club, as all baseball players in Milwaukee, were amateurs. But professionals were filling the ranks in other major cities, and some of these professional teams played the Cream Citys. Archie continued to play shortstop for the Cream City Club, in addition to being the team captain in 1869. When the club’s regular catcher could not play, McFadyen took over behind the plate. He was in this position when the Cream Citys played the famous 1869 all-professional Cincinnati Red Stockings. Archie managed one hit and to score a run in the home team’s 85 to 7 loss to the famous Red Stockings. McFadyen continued to play with the club until 1870 when professionals took the front seat in baseball across the country. In December 31, 1867, Archibald McFadyen had taken over the job he would be best remembered for: doorkeeper of the Milwaukee Chamber of Commerce. Archie’s job description at first was more than doorkeeper. It was also his duty to sweep out the chamber and performed duties later delegated to others. He was a bit of a utility man. McFadyen was at first doorman at the old Chamber of Commerce building at Michigan and Broadway. This building was torn down in 1879 and Archie stood guard at the temporary quarters occupied by the chamber in Munkwitz’s building up the street on Broadway. The new Chamber of Commerce building was opened in the fall of 1886 and still stands. 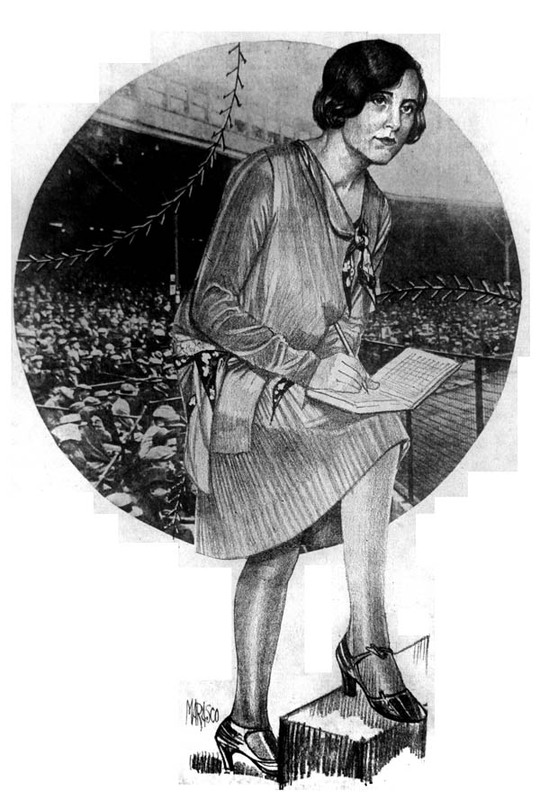 While at the door of the Chamber of Commerce McFadyen made the acquaintance of many financiers and speculators—both those extremely successful and those who lost all their money. It was said his “unfailing good nature and willingness to accommodate made him a favorite with every one.” He was just as skillful at introducing new members of the bulls and bears as he was at keeping non-members out. Archie McFadyen had the desire to round off his service at the Chamber of Commerce at 50 years. But after more than 48 years his family persuaded him to retire his post after a serious operation. It was thought it was doubtful if any other man held the position at the door of a commercial organization in the United States as long as Arche McFayden had held his position as doorman in Milwaukee. Archibald McFadyen passed away on October 8, 1921 at his home at 650 Van Buren (later address changed to 1232 North Van Buren). He was survived by his widow, Jennie Louise, and two sons and two daughters. One of his sons was Alexander McFadyen, a nationally known pianist and composer. Archie McFadyen was buried at Forest Home cemetery. The Library of Congress has an interesting online collection of baseball cards from around 1910. This collection includes quite a few of the players on the Milwaukee team. The cards can be seen here.